A trip to Japan can seem like a journey to another planet for some westerners. From the maze of Tokyo subways to the quiet of Kyoto temples, Japan is very much a living contradiction. It is one of the few places in the world where ancient traditions exist alongside modern technology. In Japan, you can order a bowl of ramen, a cappuccino – even a hotel room without ever seeing another human. You can also find some of the greatest handmade items in the world, from silk kimonos to artisanal sweets. While the Japanese have utilized modern technology to their benefit, they have not overlooked the value of craftsmanship and old world tradition – especially on the plate. In Japan, no meal is more familiar than Kaiseki, a traditional style dinner served at special occasions. There are two types of Kaiseki. 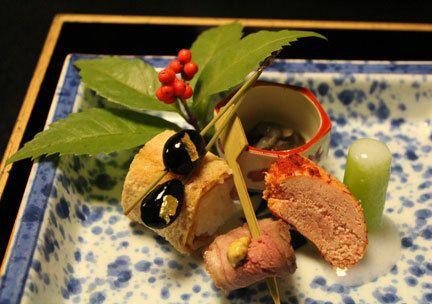 Kaiseki (会席) is a traditional multi- course dinner that is served at special occasions such as weddings and funerals. Then there is the type served before a tea ceremony, which is written (懐石). They are both read the same, but used differently. 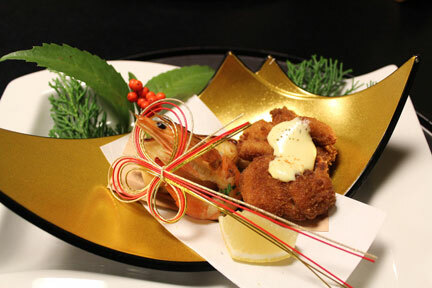 Let us bring your attention to the Kaiseki (懐石) style dinner. The kanji for Kaiseki literally translate to “stone in bosom” coming from the old practice of Zen monks who would put warm stones in front of their robes to prevent hunger. Over time these kanji began to mean the cuisine for a get-together. 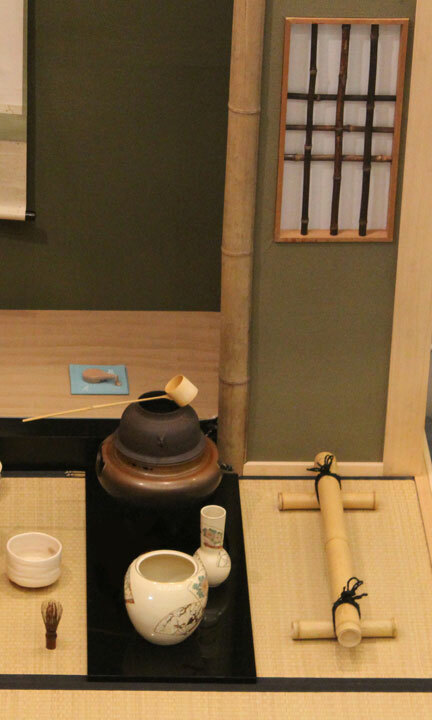 Today Kaiseki exists as a multi-course meal, but also as an edible art form. Everything is considered when putting together a Kaiseki: taste, texture, color and season. Even the dishes and garnishes are carefully chosen to reflect the season and flavor of the meal. The courses have a progression starting with a light appetizer and culminating with dessert and tea. To experience a full Kaiseki is to taste the real flavors of Japan. Kaiseki is an exquisite embodiment of the Japanese palate, and a far cry from the miso soups and California rolls of your neighborhood sushi restaurant. There are a few restaurants in the US that serve Kaiseki, but the only way to truly experience this edible art form is to travel to Japan. If you ever make it that way, be sure to try a traditional Kaiseki. Be prepared to spend hours eating with the ones you love, and you will surely have an unforgettable experience. Happy eating! Bamboo craftwork is one of the oldest artisan traditions that were primarily used by peddlers for carrying their items. Dating back to Muromachi period (1337-1573), it has a rich history from all areas of Japan. Bamboo has many unique qualities that enable i t to be widely used for a variety of everyday items in Japan. Although it is technically a grass, some can grow as tall as trees and grow remarkably fast. What makes it unique is its properties that allow for it have a universal use. Such items made from bamboo include kitchen utensils, flutes, furniture, interior and exterior walls, as well as many other things. Baskets are the most common items made from bamboo. Different regions in Japan have become known over the years for specializing in unique bamboo crafts. For instance in Takayama in Nara prefecture, they found a way to use bamboo to make tea whisks that are important to the Japanese tea ceremony. Today Takayama is where the majority of tea whisks are made, with over 120 different types offered. The craftsmen of Miyakonojo in Miyazaki prefecture use bamboo to make archery bows and arrows. Tokyo is also known for making fishing rods from bamboo. Not only is this thing cute and adorable…its durable and amazing! The unique design utilizes a stainless steel outer body with vacuum insulation which helps keep your meal hot for hours. The main bowl and two side bowls are all microwaveable and BPA free. 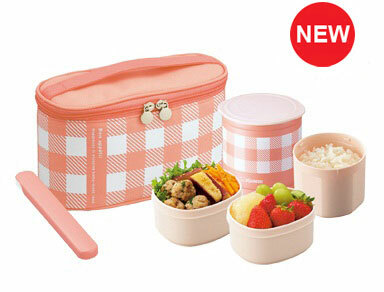 It comes complete with reusable chopsticks, chopstick holder and easy to carry zip-up tote bag. Enjoy a great meal on the go. This is a great idea if you’re looking for a way to cut costs this year. Have you ever stopped to calculate how much money you could save if you packed a lunch for work at least once per week? This can be a great way to enjoy food from home wherever you are!